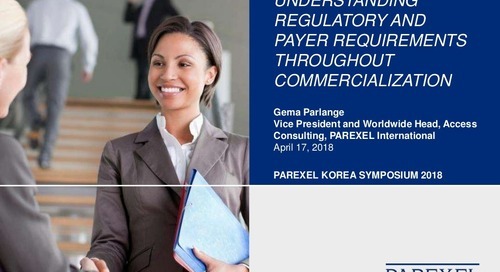 Learn how to manage and overcome key challenges to deploying imaging and wearable technology effectively in clinical trials from PAREXEL Consulting experts. 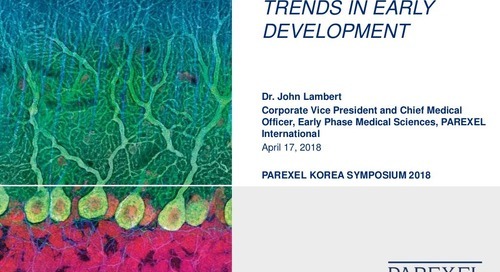 PAREXEL Early Phase Clinical Research Services experts discuss developing trends in drug development including adaptive trials design, real-world data and biomarkers. 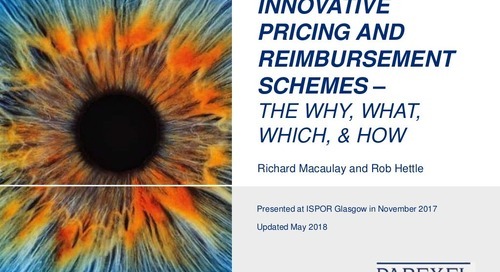 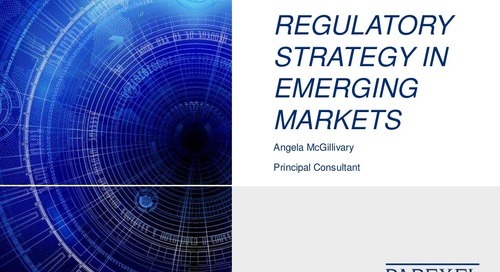 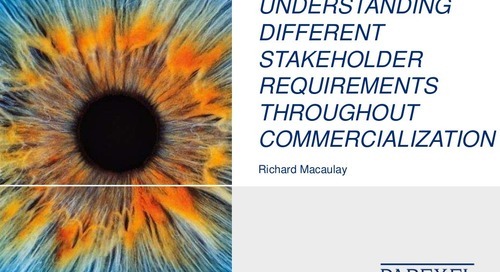 Learn about regulator and payer evidence requirements as well as other key market access considerations in drug development. 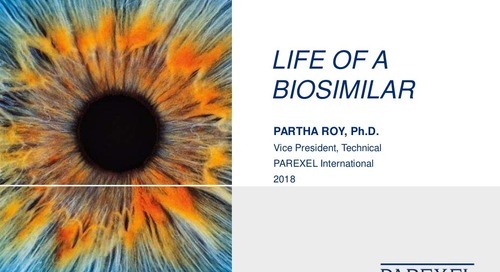 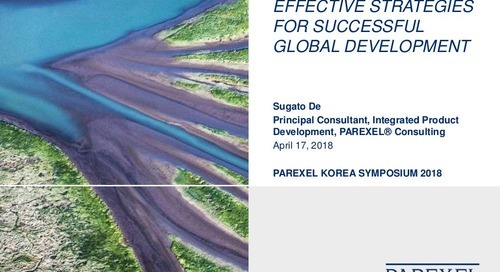 Read this presentation from PAREXEL Consulting experts. 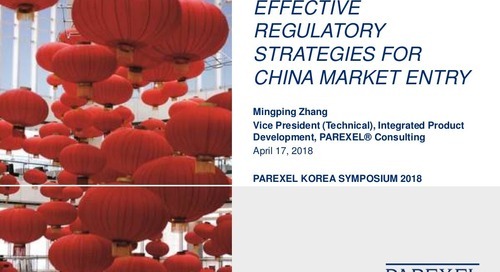 Learn about the impact of China 's regulatory reforms for companies conducting clinical research in the country from PAREXEL Consulting experts. 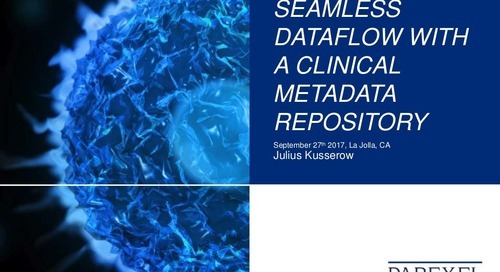 Learn how PAREXEL's Clinical Metadata Repository can help improve the way you manage clinical trial data. 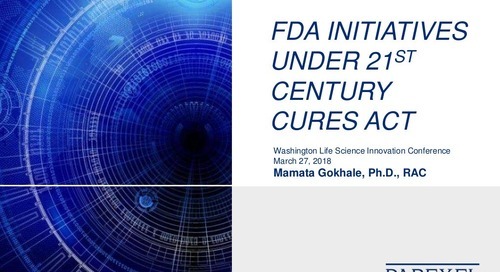 Learn about FDA's priorities for implementing The 21st Century Cures Act and how they will impact clinical research from PAREXEL Consulting experts. 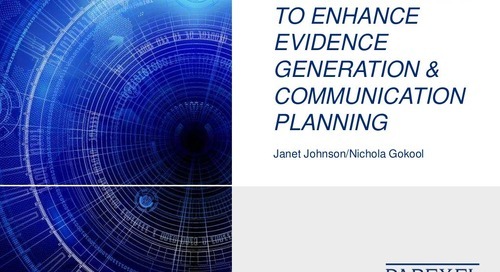 PAREXEL experts explore key aspects of successful evidence generation and communication plans and how to apply them in your organization. 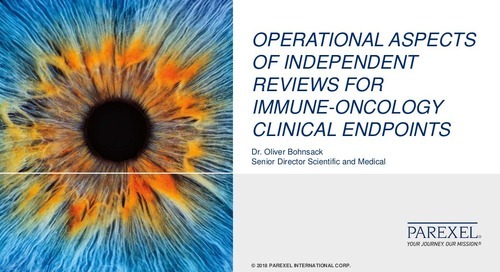 PAREXEL Consulting experts detail operational aspects of independent reviews in the context of immunotherapy clinical trials. 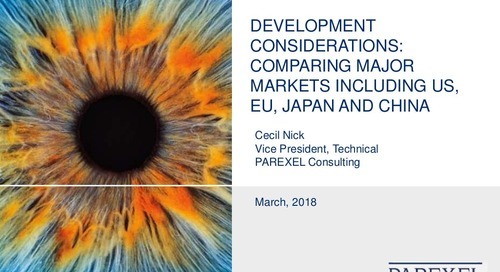 PAREXEL Consulting experts compare regulatory requirements in major drug development markets including the US, EU, Japan and China. 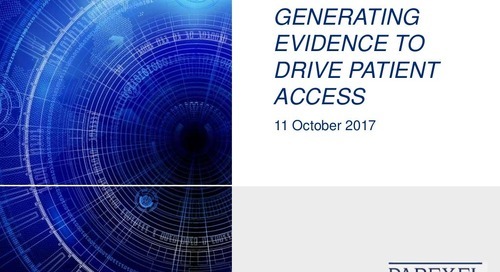 Learn how to use Real World Evidence (RWE) to bridge the evidence gap between regulators and payers. 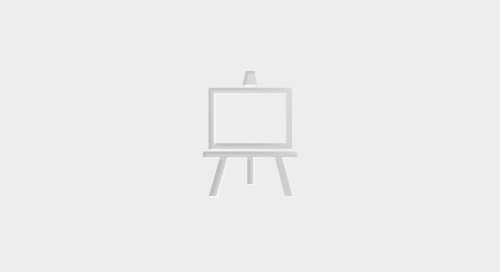 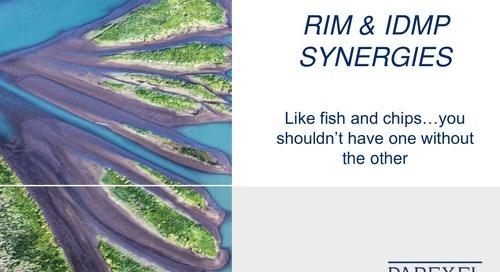 View the presentation to learn about RIM & IDMP synergies. 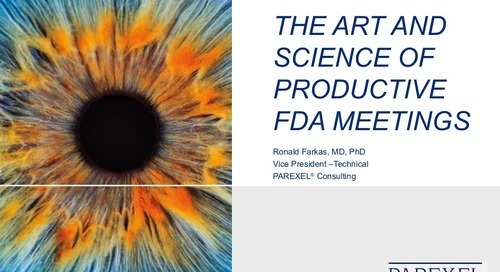 View the presentation to learn key strategies for optimizing meetings with the FDA. 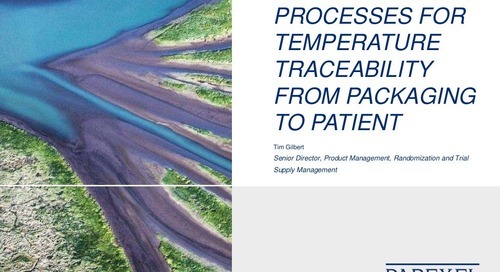 View this presentation to learn strategies for generating evidence that will help your product clear market access hurdles. 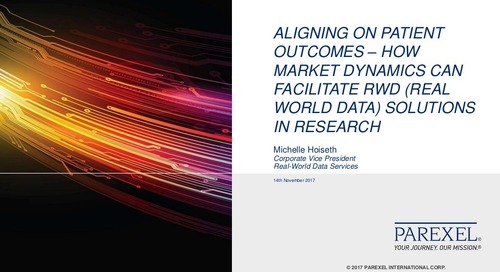 PAREXEL's Michelle Hoiseth on how pharmas can leverage Real-World Data to help improve patient outcomes. 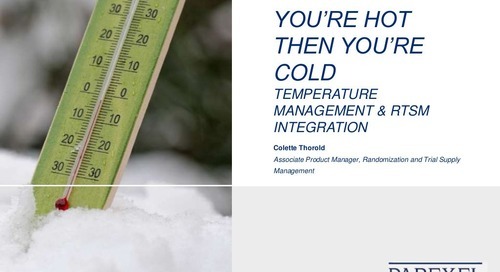 PAREXEL's Colette Thorold discusses the latest innovations in monitoring temperature-controlled medications in clinical trials.